Dylan and I wrapped up the year by joining the students and professionals that signed up for the Turkish Airlines Travel Hackathon in Istanbul for two strenuous days of creativity and problem-solving. We joined 14 other companies to sponsor this event that took aim at the pain points we have all felt in the air travel experience. 150 developers were up for the challenge. Remember back to your least favorite airport experience... You are in a moshpit of people in the security checkpoint line for much longer than you had planned. Perhaps you are wearing your go-to TOMS for easy slip-off which makes for a chilly walk through the x-ray machine. You grab your carry-on and shoes, to book it to your gate. You hang a left towards gate A3. (Was it Gate A3 or seat A3? Oops... S4! That is on the other side of the airport!) Too late to try to get a magazine; the plane is already boarding. The plane ride is satisfactory and you make it to your destination. Unloading you scan the airport signs for the nearest bathroom. All right, bag check time. But which carousel? Fingers crossed your bag isn't lost. Now, where can I catch a Lyft to my Airbnb? The travel experience is rich with opportunities to streamline and enhance and the 43 teams in this hackathon were up for the challenge. They looked at pre-flight. They looked at post-flight. They looked at the airport experience, and they looked at what they could do to improve your time in the sky. Location services can be a tool in the toolbox of any developer, and the travel experience is no exception. 12 of the 43 teams used HERE APIs to spice up their prototypes with location. 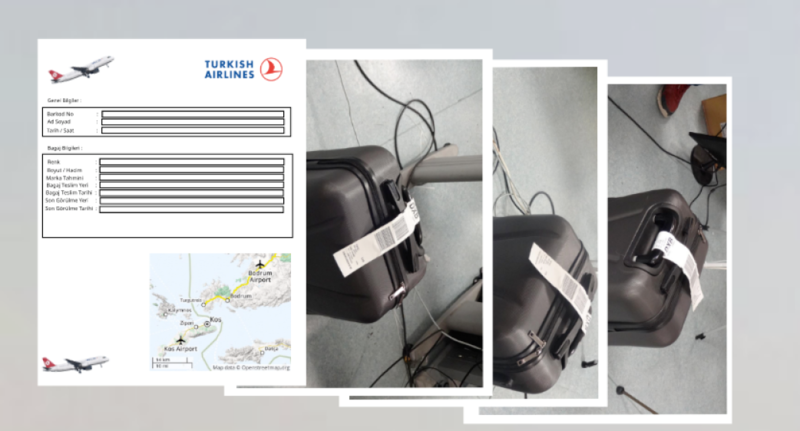 The teams "Mahşerin Dört Atlısı" and "Taxim" used HERE location services and earned 1st place in Airport and Post-Flight categories. They all scored free roundtrip flight tickets to any Turkish Airlines destination for their creativity and ablity to deliver solid prototypes. Mahşerin Dört Atlısı's idea was my favorite. They created a luggage tracking solution. 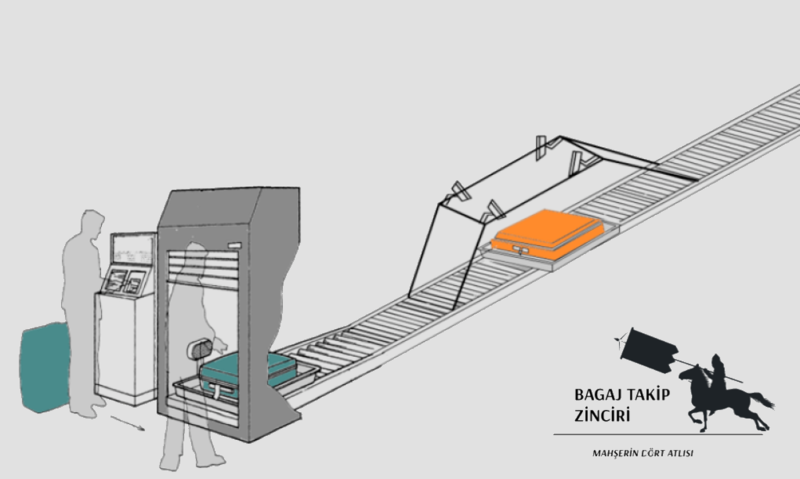 Their idea, if implemented, would include afixing a triangular camera system to each "bag drop checkpoint" to record the barcode, color, weight, brand, dimensions, and first seen/last seen data enabling better bag tracking thoroughout the customer journey. According to 2015 data, lost luggage costs were ~$2.3 billion, and an airline implementing an idea like this well could mean a significant cost savings to their company. Now, that's an idea with potential to improve the traveler experience and save the company a bundle! Great thinking, Four Horsemen! The 48-hour event, a blur of sleepless nights, was a wonderful way to spend a wintry weekend. 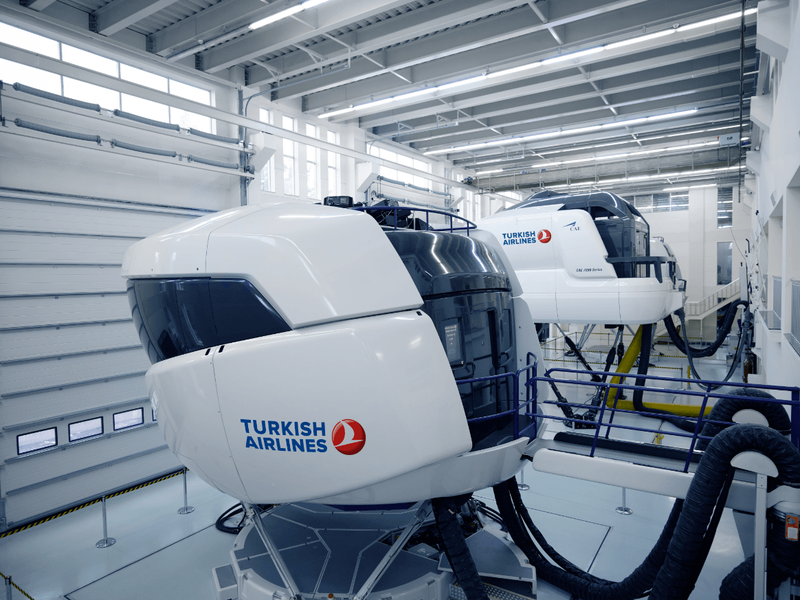 Whether it was flying around in the flight simulators or hacking away in airplanes on the ground, the entire event was a great experience to help make the entire flight experience a little more tolerable and we were happy that HERE location services could help the teams harness the power of location in their projects. Stay tuned for more hackathons in 2018. We would love to join you for one soon.